Websaver has a new coupon for cheese! 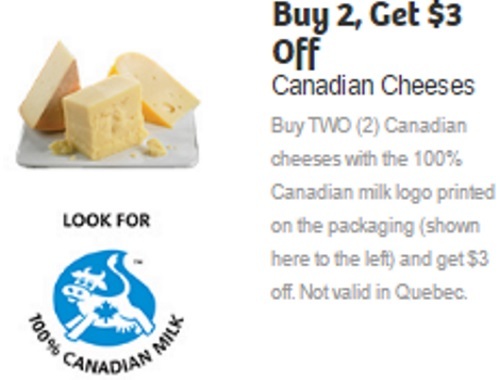 Save $3 off when you buy 2 Canadian cheeses with the 100% Canadian milk logo printed on the packaging (as shown in the image above). Coupon is not valid in Quebec. Click here to get the coupon.